I hope the first part of your exam went well. Please read the following below before beginning your IN CLASS ESSAY. Please refer to this LINK for the University of Saskatchewan MLA guide. This is the ‘legal doctrine’ for how you should ALWAYS write/cite your essays and assignments. I wouldn’t want any of you getting into any kind of trouble EVER. Remember you ARE NOT stealing anyones work if you cite it. There is no need to steal. 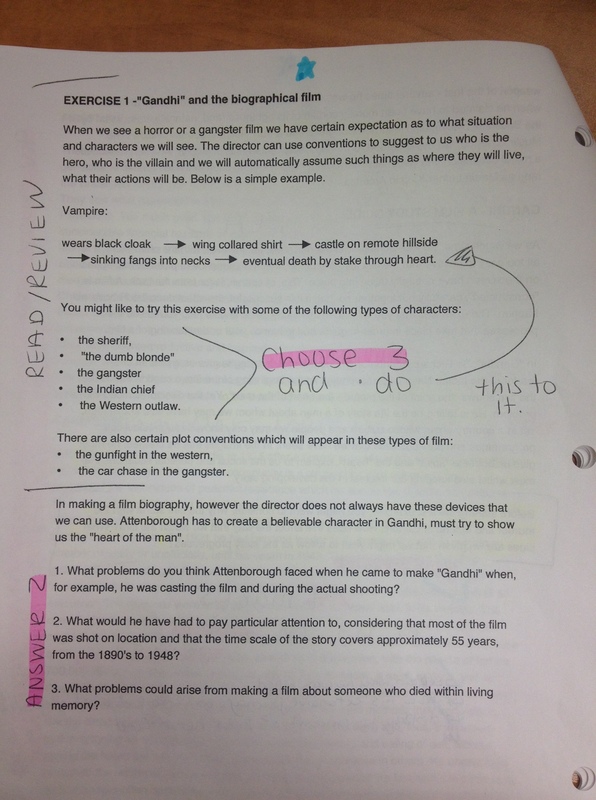 Notes: Ghandi Assignment is due tomorrow. 1. Explain why Gandhi first became involved in politics in South Africa. 2. What method did he evolve to fight colour prejudice there? 3. What do you think Gandhi’s attitude towards the British was during this period of his life? 4. In what ways do you think Gandhi’s later career might have been influence by his early life? Write an account og Gandhi’s life written from your point of view of his wife Kasturba. You could stress your fears for his safety or even your admiration. Rather than writing an account you can also write a letter from Kasturba to Gandhi during a particular time in their lives. WHAT GREATEST lessons do you believe Gandhi taught the people of India? 1. What was the Amritsar massacre? 2. Explain how tension mounted, culminating in the Amritsar massacre. 3. Describe what happened at Amritsar and say why it marked a turning point in Gandhi’s attitude towards the British. 1. Design a recruitment poster OR motto which the British might have used in India before the FIRST WORLD WAR. 2. Design a poster OR rap which Indian nationalists might have produced, condemning British action at Amritsar. 3.Compose a list of questions you might have asked General Dyer if you have been interrogating him at the Hunter Committee inquiry? 4. (OR a list of questions you have for Gandhi). Many revolutions/rebellions and general drastic changes come with fighting and war. Explain your “opinion” on Gandhi’s non-violent efforts. Gandhi said to his followers/supporters than there was going to be pain. Great pain regardless of if they fought or not- but that NOT fighting was the ONLY way. What would you do to bring forth change in something you believed in of this magnitude? Where do you think he would have made changes if he were to reflect back? Why do you think that David Attenbourough starts his award winning movie; Gandhi with the death and funeral of Gandhi? How does this affect the way we watch the film? What clue are we given that we might with to follow as the story progresses? Be sure to also comment on the PHOTOS that you have been given. Be ready to read Chapter 17 together TOMORROW in TO KILL A MOCKINGBIRD! Please upload your emotions photos or get taking them! Please update your PHOTO of a DAY photos. ← Welcome back team- Plans for Monday!